Ah, there's nothing like a homemade cookie. Except when you're cooking for one, you don't always want a large batch of cookies looming in your house begging to be eaten all day long (or is it just me who would eat them all?). 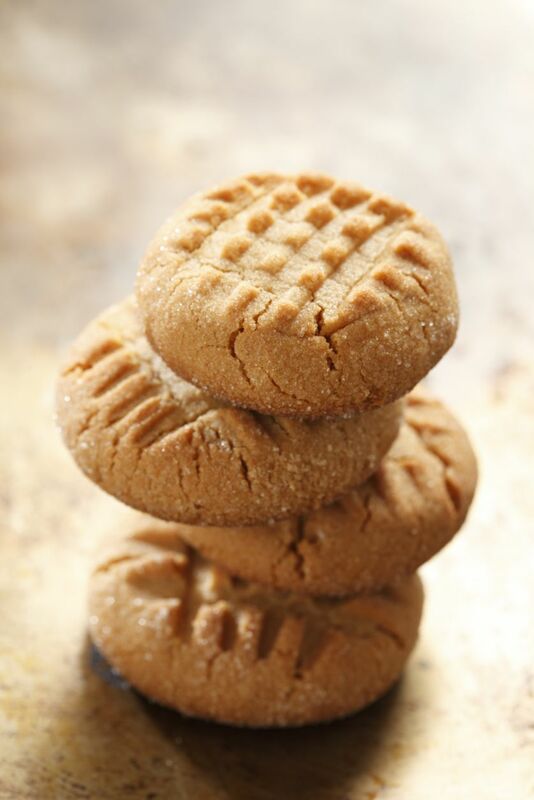 I created this easy peanut butter cookie recipe that yields 4 cookies--you won't be overwhelmed by a jarful of cookies but will feel more satisfied than just having one or two. Because who can stop at just one cookie? Note that for dessert recipes like this that use a portion of ​egg, whisk 1 egg in a small bowl with a fork. Then measure out for the recipe using a tablespoon. The remaining whisked egg can be frozen for later use. 2. Prepare a baking sheet by lining them with parchment paper (this helps prevent the cookie bottoms from burning). 3. In a small bowl, add the peanut butter, sugar, egg, and vanilla. Mix together with a spoon or spatula until combined. 4. Roll the cookie dough into 4 equal-sized balls. Place onto the prepared baking sheet about 1 to 2 inches apart. Using a fork, press down into the cookie dough to make criss-cross marks onto the cookie. If desired, add a few flakes of sea salt or sugar to the top of the cookie. Bake in the preheated oven until cooked through and golden, around 12 minutes. 5. Remove the baking sheet from the oven and let cookies stay on baking sheet until cool.